Finally! A Smart Pace Clock. IST’s pace clocks have been favorites of coaches for years. What’s not to love? Our pace clocks have a 5 year warranty, they’re solid and dependable and they are programmable with an additional programming pendent. Plus they are bright and easy to see. Even, we’ve been told, in the fog across a 50M pool! Well now our pace clocks are even better! Now we have added Bluetooth technology to our clocks. You can run your pace clock with your Android or iPhone device. Simply download the app from the Google Play Store or from the Apple App Store, pair your phone to the clock and you have a powerful workout tool in the palm of your hand. In fact, it’s like having another assistant coach on your deck. The app features 4 different modes. TIMER is a basic stopwatch function. 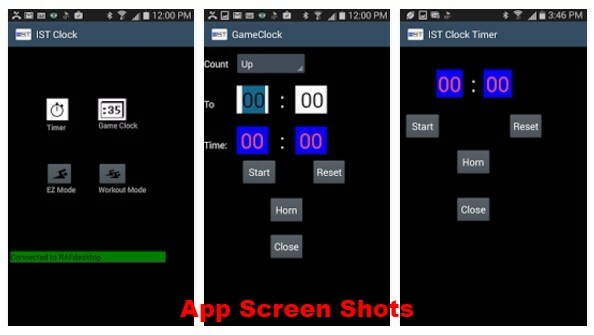 GAME CLOCK allows you to count up or down for a set time period so you can run a game of water polo for fun after practice. EZ MODE allows you to create a quick and simple set consisting of the number of repeats and a time (i.e. 10 @ 1:00). Additionally, WORKOUT MODE allows you to create more complex sets with multiple intervals and combine those into a workout which can be run at the push of a button. You can store an unlimited number of sets and workouts. Sets are stored by category and name and workouts are stored by name so you can find everything easily. If writing sets on your phone doesn’t appeal to you, there is an easier way. You can export your sets and workouts from our WORKWARE workout software and import them into the phone app. This allows you to write the sets on your computer and run them on your phone. Already have an IST clock? No problem! 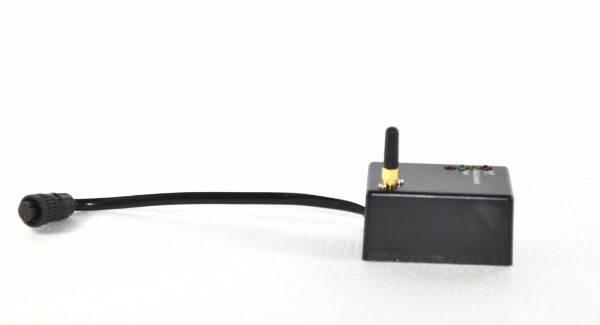 You can purchase a Bluetooth adapter that will plug into any IST Pace Clock (2 or 4 digit) and get the same functionality as the clock with the built in Bluetooth! We have released the iPhone version of the app on the Apple App Store. For a limited time the app is FREE. Offer good through July 31st, 2017. Also, buy a Bluetooth pace clock now and you will get a copy of our WORKWARE software for only $35 (MSRP $350). This offer is good through August 31st, 2017. Visit our website (www.istime.com), e-mail info@istime.com or give us a call at 800-835-2611. We are happy to answer any questions, create a quote for budgeting purposes or take your order!